Andrea also found one more gravestone from the Weissensee Jewish Cemetery in Berlin - Philipp Braunhart, who was murdered by the Nazis at Sachsenhausen. Philipp was the son of Alexander and Helene Braunhart. He was married to Else Schmalenbach and had three children, Horst, Gisela, and Bernhard. 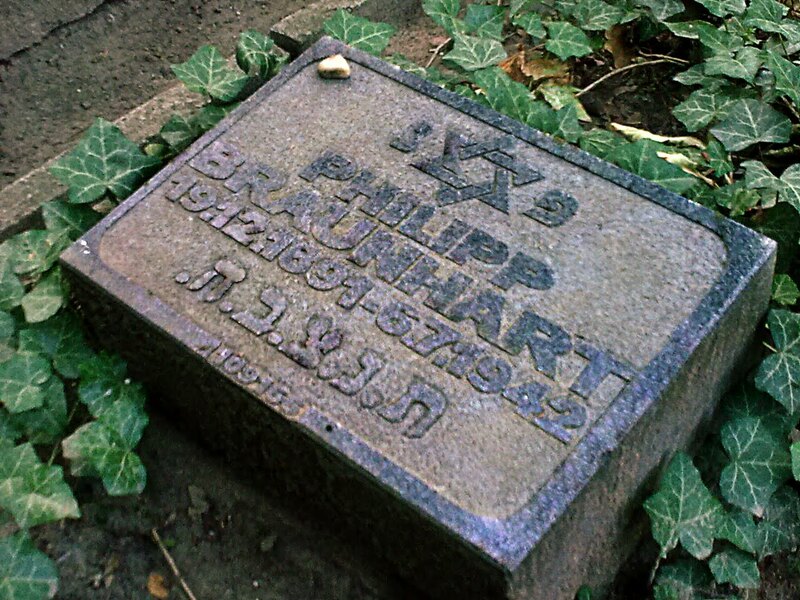 He was forced by the Nazis to divorce his wife in order to save his children.